Home News > “We Are All Partners in The Security of Our Homeland"
The College of Mass Communication at Al Falah University in cooperation with the Dubai Police organized an awareness meeting under the title "We Are All Partners in The Security of Our Homeland" to enhance the awareness of students and faculty members and administrative staff in the importance of loyalty and nationalism. 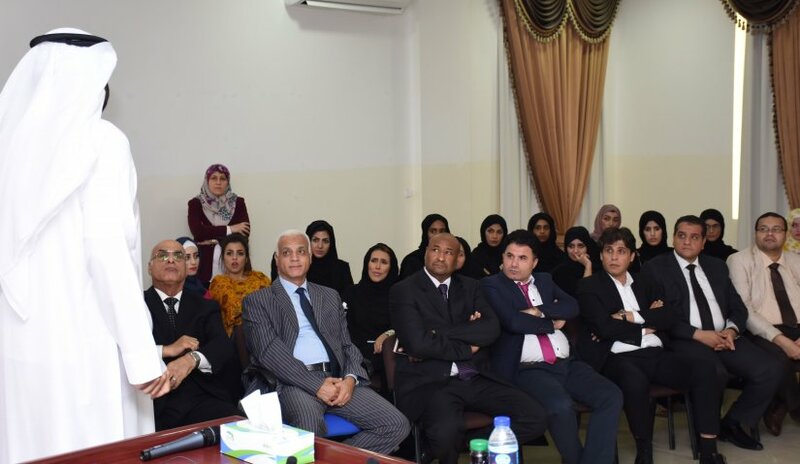 The lecture included several important topics to explain the importance of involving citizens and residents in the process of maintaining the security and stability of the community and to encourage the spirit of individual initiative in the sharing of information to protect the community from any threat. Al Ameen Service officially launches in September 2003 is keen to reach a large audience. The service is for the people of Dubai to effectively communicate with the authorities on issues that concern them. Citizens could connect to the service through their social networking accounts such as Twitter, Instagram, and Facebook or to call telephone number 800 4888.